2015 is in full swing. It's a brand new year brimming with creative possibility and a time to reflect on 2014’s artistic endeavours. 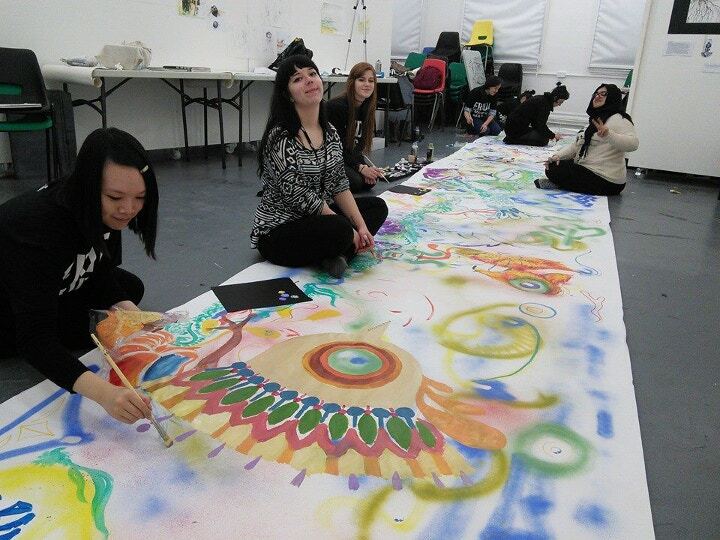 Over the Christmas break, the STAMBAS (Cass Art’s Student Ambassadors) embarked on a #creativecall to complete a 10m mural using a roll of Fabriano paper and an assortment of Liquitex art materials. The results? Eccentric, colourful and oh so varied! 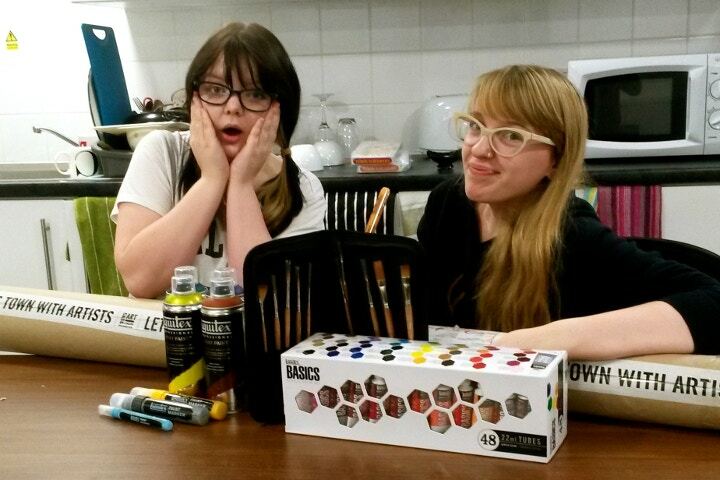 Stambas Cora Clarke and friend at Arts University Bournemouth with their #creativecall goodies. Stambas Xanthe Horner and friends at Goldsmiths University tackling 10m head on! 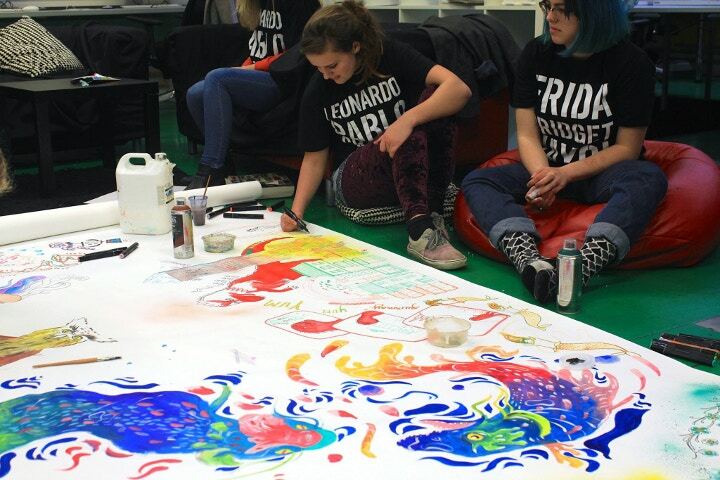 The #creativecall totals at a whopping 200m of mural showcasing the intermixability of Liquitex’s acrylic range – spray paints, paint markers, traditional paints – and the colour-matching blending system gives the artist total creative freedom. 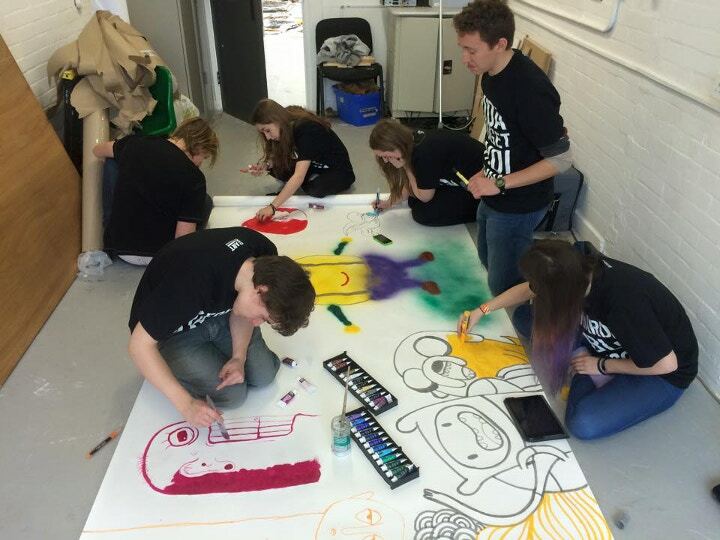 Arts University Bournemouth students donning their Cass Art Artist Groupie T-shirts. Taking the Cartoon Approach: Stambas Jake Vella at UCA Farnham with friends. Naomi, Stambas at Westminster University takes to the streets to fill this town with art! 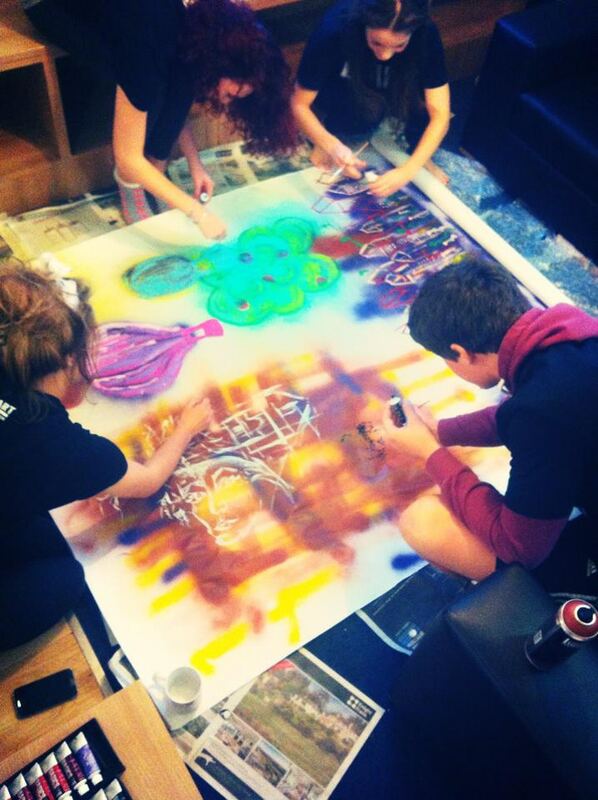 Stambas Josa Taylor and friends at Bath Spa University building up those layers of Liquitex. STAMBAS Chloe blew our socks off with her incredible textural mural…and equally impressive stop motion video. Well done to all the STAMBAS for their efforts and each indivdual mural, bursting with individuality! 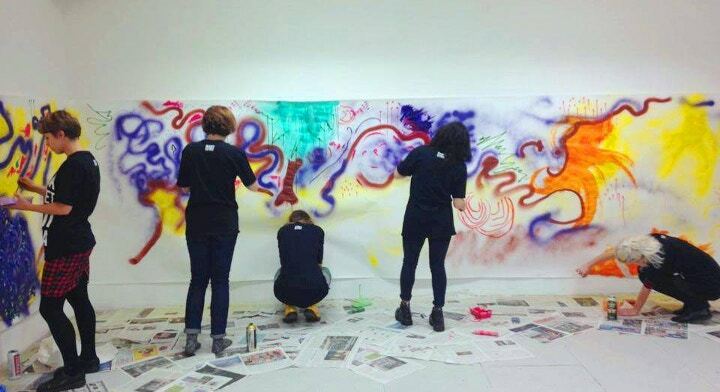 Curious about the Cass Art Student Ambassador Programme? Take a look at our 2014 initiative or visit the Students page on the website. Send an email to students@cassart.co.uk if you’d like to collaborate or have any questions. Shop online now for Liquitex products and surfaces and create your own murals! Sometimes thinking big is the way to go.